We offer structured wiring for both residential and commercial properties. Structured wiring means that the whole building accepts cables from outside providers to a structured networking panel (SNP) and distributes them throughout your home. These direct lines (called “home runs”) can run to audio, video, data, telephone, television, home automation or security signals. Structured wiring ensures the strongest possible connection to each of your electronic devices! These lines can be installed in a new building or added to your existing property. Structured Wiring has many advantages including speed, configurability and consistent high signal quality. No more impatience or frustration waiting around for signals to get where they are going! Life is short, don’t spend your life waiting for your entertainment. 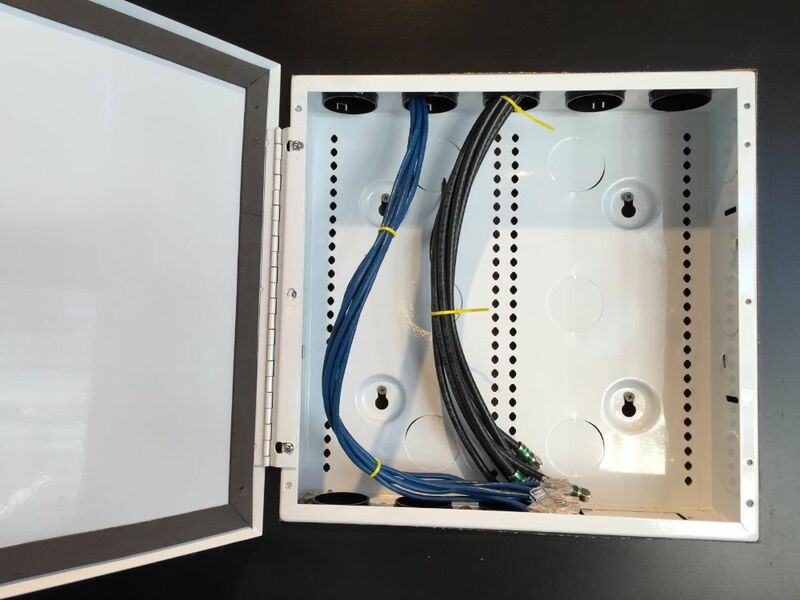 Simply Wiring Services will take care of all the details using our knowledge of SNP’s, cables, multi-port wall plates, switches, routers and other accessories. Contact us today!